It appears my grandmother went through a serious Austrian Dessert phase at one point. 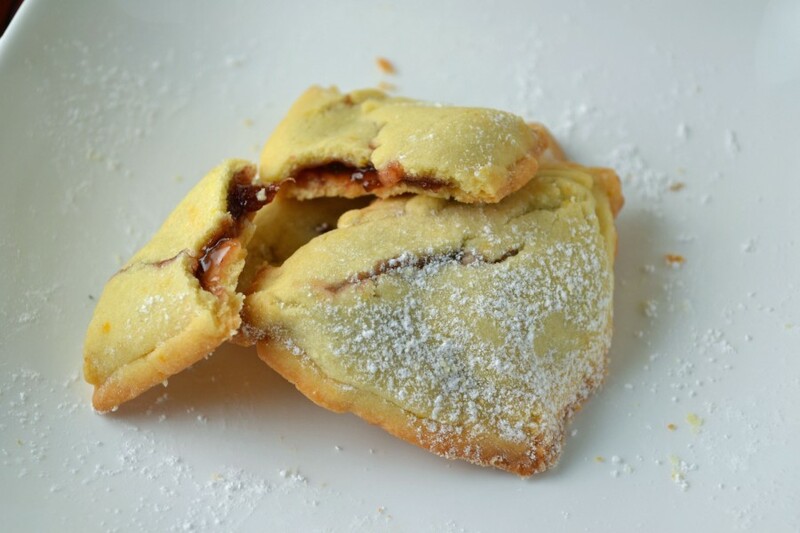 Her book,“The Art of Fine Baking,” includes recipes for Strudel, Mocha Torte (similar to the famous Sacher Torte), Linzer Slices, and these cute little pocket cookies. I find that Austrian Desserts have two major commonalities: fruit and lots of butter. Strudel for example, is basically sheets of thin butter rolled with the filling, usually fruit such as apples or cherries. Strudel is one of the few desserts that doesn’t use jam or preserves. 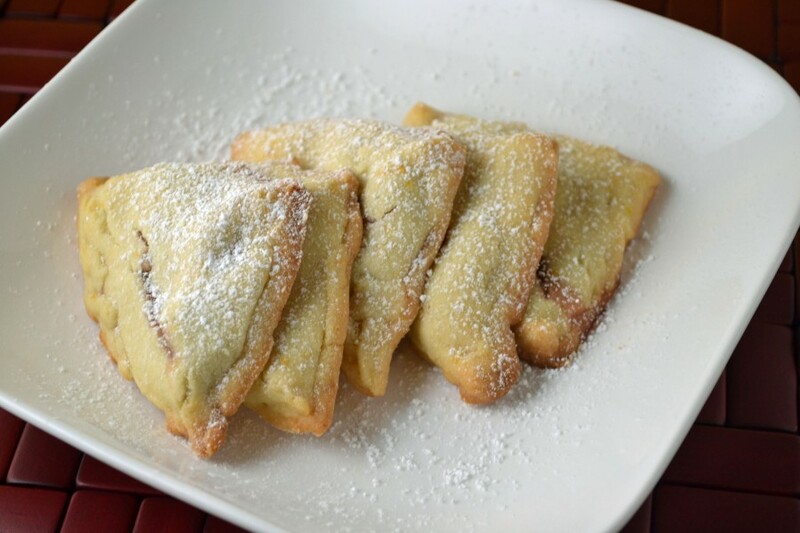 These cute little pockets are similar to many other popular Viennese desserts where the fruit jam is the star – or so it seems. As a chocolate lover, I actually tried filling these with Nutella to add some excitement. In the end, I preferred the strawberry jam version because it pairs so well with the buttery lemon scented dough. I like to think of these Viennese cookie pockets as turnovers with less commitment. They’re smaller than turnovers and the soft crumbly exterior is much more of a cookie than a pastry. Just eating one won’t commit you to finishing a large pastry (like a turnover), but I can’t promise you won’t eat three or four of them anyway. Lightly grease and flour 2 baking sheets or line with parchment paper. Cream butter with sugar. Stir in hard-cooked egg yolks, raw egg yolk, orange zest, and vanilla. Gently add flour and salt. Mix just to combine. Chill dough. Roll out dough 1/8 inch thick. Cut into 2-inch squares. Place a small dab of thick jam on each square. Fold in half to make triangles. Pinch edges together and place on baking sheets. Chill again. Preheat oven to 350 degrees. Prick top of each cookie with a fork. Beat egg whites with water and brush each cookie. Bake 10-15 minutes until lightly browned.